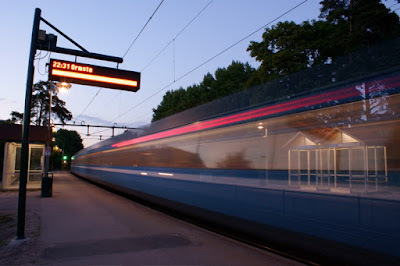 A Roslagsbanan commuter train bound for Ormsta whizzes by the minimalistic station in Mörby. I almost capitulated to the mosquitoes but decided to hang on for this one. Thanks, Svenske Floyd.